Workbook- The Excel window that appears on the screen is called a workbook. Worksheet- A workbook consists of number of sheets. A worksheet contains 1048576 rows and 16384 columns. 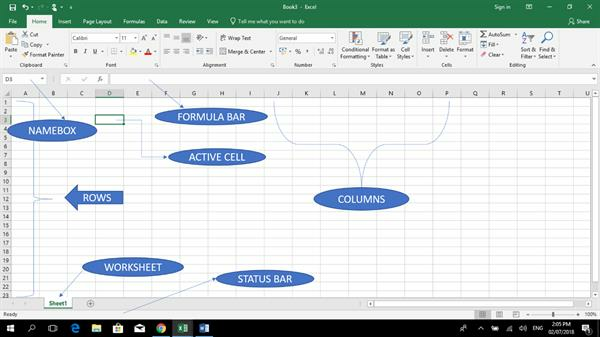 Cell- A cell is the intersection of a row and a column. Formula Bar- A Formula bar is used to type any data and formula. Status Bar- It shows the status of a particular program. Active Cell-A cell that is currently selected.